Resolution Guyot (formerly known as Huevo) is a guyot/tablemount in the underwater Mid-Pacific Mountains, Pacific Ocean. It is a circular flat mountain that rises 500 metres (1,600 ft) above the seafloor to a depth of about 1,320 metres (4,330 ft), with a 35 kilometres (22 mi) wide summit platform. The Mid-Pacific Mountains and thus also Resolution Guyot lie west of Hawaii and northeast of the Marshall Islands but at the time of its formation it was located in the Southern Hemisphere. 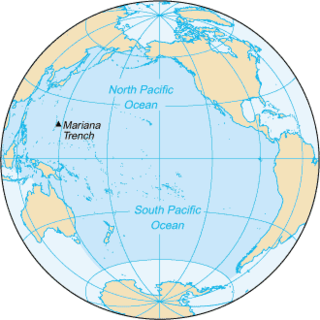 The Mid-Pacific Mountains (MPM) is a large oceanic plateau located in the central North Pacific Ocean or south of the Hawaiian–Emperor seamount chain. Of volcanic origin and Mesozoic in age, it is located on the oldest part of the Pacific Plate and rises up to 2 km (1.2 mi) above the surrounding ocean floor and is covered with several layers of thick sedimentary sequences that differs from those of other plateaux in the North Pacific. 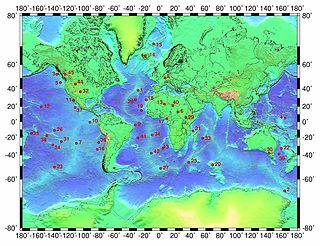 c. 50 seamounts are distributed over the MGM. Some of the highest points in the range are above sea level which include Wake Island and Marcus Island. It was probably formed by a hotspot in what is present-day French Polynesia before plate tectonics moved it to its present-day location. A number of hotspots such as the Easter hotspot, the Marquesas hotspot, the Pitcairn hotspot and the Society hotspot may have been involved in the formation of Resolution Guyot. Volcanic activity has been dated to have occurred 107-129 million years ago and formed a volcanic island. Subsequently erosion flattened the island and carbonate deposition commenced, forming an atoll-like structure and a carbonate platform. French Polynesia is an overseas collectivity of the French Republic and the only overseas country of France. It is composed of 118 geographically dispersed islands and atolls stretching over an expanse of more than 2,000 kilometres (1,200 mi) in the South Pacific Ocean. Its total land area is 4,167 square kilometres (1,609 sq mi). The platform emerged above sea level at some time between the Albian and Turonian ages before eventually drowning for reasons unknown between the Albian and the Maastrichtian. Thermal subsidence lowered the drowned seamount to its present depth. After a hiatus, sedimentation commenced on the seamount and led to the deposition of manganese crusts and pelagic sediments, some of which were later modified by phosphate. The riserless research vessel JOIDES Resolution, often referred to as the JR, is one of the scientific drilling ships used by the International Ocean Discovery Program (IODP), an international, multi-drilling platform research program. The JR was previously the main research ship used during the Ocean Drilling Program (ODP) and was used along with the Japanese drilling vessel Chikyu and other mission-specific drilling platforms throughout the Integrated Ocean Drilling Program. She is the successor of Glomar Challenger. The Marshall Islands, officially the Republic of the Marshall Islands, are an island country and a United States associated state near the equator in the Pacific Ocean, slightly west of the International Date Line. Geographically, the country is part of the larger island group of Micronesia. The country's population of 53,158 people is spread out over 29 coral atolls, comprising 1,156 individual islands and islets. A wave-cut platform, shore platform, coastal bench, or wave-cut cliff is the narrow flat area often found at the base of a sea cliff or along the shoreline of a lake, bay, or sea that was created by erosion. Wave-cut platforms are often most obvious at low tide when they become visible as huge areas of flat rock. Sometimes the landward side of the platform is covered by sand, forming the beach, and then the platform can only be identified at low tides or when storms move the sand. The Kerguelen Plateau is an oceanic plateau and a large igneous province (LIP) located on the Antarctic Plate, in the southern Indian Ocean. It is also a microcontinent and submerged continent. It is about 3,000 km (1,900 mi) to the southwest of Australia and is nearly three times the size of Japan. The plateau extends for more than 2,200 km (1,400 mi) in a northwest–southeast direction and lies in deep water. Allison Guyot is a tablemount (guyot) in the underwater Mid-Pacific Mountains, Pacific Ocean. It is a trapezoidal flat mountain rising 1,500 metres above the seafloor, with a 35 by 70 kilometres wide summit platform. 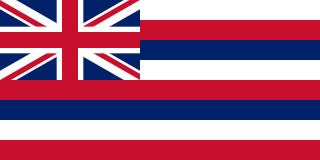 The Mid-Pacific Mountains lie west of Hawaii and northeast of the Marshall Islands, but at the time of their formation were located in the Southern Hemisphere. 1 2 3 4 5 6 Winterer & Sager 1995, p. 501. ↑ "IHO-IOC GEBCO Gazetteer of Undersea Feature Names". www.gebco.net. Retrieved 2 October 2018. ↑ Firth 1993, p. 1. 1 2 3 Firth 1993, p. 2. ↑ Arnaud, Flood & Strasser 1995, p. 134. 1 2 3 Winterer & Sager 1995, p. 508. ↑ Bouma, Arnold H. (September 1990). "Naming of undersea features". Geo-Marine Letters. 10 (3): 121. doi:10.1007/bf02085926. ISSN 0276-0460. 1 2 3 4 5 Röhl & Strasser 1995, p. 198. 1 2 McNutt et al. 1990, p. 1101. 1 2 3 4 5 Baker, Castillo & Condliffe 1995, p. 246. ↑ McNutt et al. 1990, p. 1102. 1 2 3 4 5 Iryu & Yamada 1999, p. 478. ↑ Grötsch & Flügel 1992, p. 156. 1 2 Winterer & Sager 1995, p. 504. 1 2 Winterer 1998, p. 60. 1 2 3 4 Winterer 1998, p. 61. 1 2 3 4 5 6 7 8 9 10 11 12 13 14 "International Chronostratigraphic Chart" (PDF). International Commission on Stratigraphy. August 2018. Retrieved 22 October 2018. ↑ Baudin et al. 1995, p. 192. ↑ Jenkyns & Strasser 1995, p. 117. ↑ Sliter 1995, p. 21. ↑ van Waasbergen 1995, p. 471. ↑ Pringle et al. 1993, p. 359. ↑ Röhl & Ogg 1996, pp. 595-596. ↑ Strasser et al. 1995, p. 119. ↑ Sleep, N H (May 1992). "Hotspot Volcanism and Mantle Plumes". Annual Review of Earth and Planetary Sciences. 20 (1): 19. doi:10.1146/annurev.ea.20.050192.000315. ↑ Tarduno, John A.; Gee, Jeff (November 1995). "Large-scale motion between Pacific and Atlantic hotspots". Nature. 378 (6556): 477. doi:10.1038/378477a0. ISSN 0028-0836. ↑ Baker, Castillo & Condliffe 1995, p. 255. 1 2 Baudin et al. 1995, p. 173. 1 2 Baker, Castillo & Condliffe 1995, pp. 246-247. ↑ Kurnosov et al. 1995, p. 478,484. ↑ Kurnosov et al. 1995, p. 477. ↑ Kurnosov et al. 1995, p. 478. ↑ Iryu & Yamada 1999, p. 482. 1 2 3 4 5 Arnaud, Flood & Strasser 1995, p. 137. ↑ Swinburne & Masse 1995, p. 4. 1 2 3 4 Arnaud, Flood & Strasser 1995, p. 133. 1 2 3 Röhl & Strasser 1995, p. 199. ↑ Arnaud, Flood & Strasser 1995, p. 133,137. 1 2 3 Röhl & Strasser 1995, p. 201. ↑ Flood & Chivas 1995, p. 161. 1 2 3 Arnaud, Flood & Strasser 1995, p. 136. 1 2 Murdmaa & Kurnosov 1995, p. 459. ↑ Montgomery, David R.; Zabowski, Darlene; Ugolini, Fiorenzo C.; Hallberg, Rolf O.; Spaltenstein, Henri (2000-01-01). Soils, Watershed Processes, and Marine Sediments. International Geophysics. 72. p. 186. doi:10.1016/S0074-6142(00)80114-X. ISBN 9780123793706. ISSN 0074-6142. ↑ Grötsch & Flügel 1992, p. 168. 1 2 3 Baudin et al. 1995, p. 184. ↑ Baudin et al. 1995, p. 174. ↑ Baudin et al. 1995, p. 193. 1 2 Strasser et al. 1995, p. 120. 1 2 3 Baudin et al. 1995, p. 179. ↑ Winterer & Sager 1995, p. 514. ↑ Murdmaa et al. 1995, p. 421. 1 2 3 4 5 Arnaud, Flood & Strasser 1995, p. 140. 1 2 Arnaud, Flood & Strasser 1995, p. 150. ↑ Nogi, Y.; Tarduno, J.A. ; Sager, W.W. (May 1995). "Inferences about the Nature and Origin of Basalt Sequences from the Cretaceous Mid-Pacific Mountains (Sites 865 and 866), as Deduced from Downhole Magnetometer Logs" (PDF). Proceedings of the Ocean Drilling Program, 143 Scientific Results. Proceedings of the Ocean Drilling Program. 143. Ocean Drilling Program. p. 386. doi:10.2973/odp.proc.sr.143.239.1995 . Retrieved 2018-09-30. ↑ Fisher, Richard V. (1958). "DEFINITION OF VOLCANIC BRECCIA". Geological Society of America Bulletin. 69 (8): 1071. doi:10.1130/0016-7606(1958)69[1071:DOVB]2.0.CO;2. ISSN 0016-7606. ↑ Winterer & Sager 1995, p. 503. 1 2 3 Kononov, M. V.; Lobkovskii, L. I.; Novikov, G. V. (February 2017). "The Oligocene gap in the formation of Co-rich ferromanganese crusts and sedimentation in the Pacific Ocean and the effects of bottom currents". Doklady Earth Sciences. 472 (2): 148. doi:10.1134/s1028334x17020143. ISSN 1028-334X. ↑ Kurnosov et al. 1995, p. 475. 1 2 Murdmaa & Kurnosov 1995, p. 466. ↑ Röhl & Ogg 1996, p. 599. ↑ Arnaud, Flood & Strasser 1995, p. 141. 1 2 Arnaud, Flood & Strasser 1995, p. 154. 1 2 3 4 Strasser et al. 1995, p. 126. ↑ Winterer & Sager 1995, p. 512. ↑ Tarduno, J.A. ; Sager, W.W.; Nogi, Y. (May 1995). "Early Cretaceous Magnetostratigraphy and Paleolatitudes from the Mid-Pacific Mountains: Preliminary Results Bearing on Guyot Formation and Pacific Plate Translation" (PDF). Proceedings of the Ocean Drilling Program, 143 Scientific Results. Proceedings of the Ocean Drilling Program. 143. Ocean Drilling Program. p. 397. doi:10.2973/odp.proc.sr.143.241.1995 . Retrieved 2018-09-30. ↑ Röhl & Strasser 1995, p. 223. ↑ Swinburne & Masse 1995, p. 9. 1 2 van Waasbergen 1995, p. 482. ↑ Arnaud, Flood & Strasser 1995, p. 138,140. 1 2 3 4 Arnaud, Flood & Strasser 1995, p. 148. 1 2 Jenkyns & Strasser 1995, p. 116. ↑ Arnaud, Flood & Strasser 1995, p. 151. 1 2 Arnaud, Flood & Strasser 1995, p. 153. ↑ Swinburne & Masse 1995, p. 8. ↑ Dumitrescu, Mirela; Brassell, Simon C. (July 2005). "Biogeochemical assessment of sources of organic matter and paleoproductivity during the early Aptian Oceanic Anoxic Event at Shatsky Rise, ODP Leg 198". Organic Geochemistry. 36 (7): 1004. doi:10.1016/j.orggeochem.2005.03.001. ISSN 0146-6380. 1 2 Strasser et al. 1995, p. 125. ↑ Röhl & Ogg 1996, p. 597. ↑ Baudin et al. 1995, pp. 192-193. ↑ Föllmi, K. B.; Bôle, M.; Jammet, N.; Froidevaux, P.; Godet, A.; Bodin, S.; Adatte, T.; Matera, V.; Fleitmann, D.; Spangenberg, J. E. (22 June 2011). "Bridging the Faraoni and Selli oceanic anoxic events: short and repetitive dys- and anaerobic episodes during the late Hauterivian to early Aptian in the central Tethys". Climate of the Past Discussions. 7 (3): 2039. doi:10.5194/cpd-7-2021-2011. ↑ Wilson et al. 1998, p. 893. 1 2 Flood & Chivas 1995, p. 163. ↑ Skelton, Sano & Masse 2013, p. 513. ↑ Arnaud, Flood & Strasser 1995, pp. 133-134. ↑ Swinburne & Masse 1995, p. 5. ↑ Swinburne & Masse 1995, p. 14. ↑ Swinburne & Masse 1995, p. 7. ↑ Skelton, Sano & Masse 2013, p. 515. ↑ Skelton, Sano & Masse 2013, p. 514. ↑ Arnaud, Flood & Strasser 1995, p. 139. ↑ Arnaud, Flood & Strasser 1995, p. 135. 1 2 Winterer & Sager 1995, p. 523. ↑ Vaughan, Alan P. M. (1995). "Circum-Pacific mid-Cretaceous deformation and uplift: A superplume-related event?". Geology. 23 (6): 493. doi:10.1130/0091-7613(1995)023<0491:CPMCDA>2.3.CO;2. (Subscription required (help)). ↑ Winterer 1998, p. 59. ↑ Jarrard, R. D.; Turner, D. L. (1979). "Comments on 'Lithospheric flexure and uplifted atolls' by M. McNutt and H. W. Menard". Journal of Geophysical Research. 84 (B10): 5691. doi:10.1029/JB084iB10p05691. ↑ Winterer & Sager 1995, p. 532. ↑ Grötsch & Flügel 1992, p. 172. ↑ Röhl & Strasser 1995, p. 210. ↑ Wilson et al. 1998, p. 892. 1 2 Murdmaa et al. 1995, p. 422. ↑ Röhl & Ogg 1996, p. 595. ↑ Winterer & Sager 1995, p. 500. ↑ Firth 1993, p. 4. ↑ Sliter 1995, p. 25. ↑ Wilson et al. 1998, pp. 892-893. ↑ Murdmaa et al. 1995, p. 419. ↑ Murdmaa et al. 1995, p. 423. ↑ Murdmaa et al. 1995, p. 424. ↑ Sliter 1995, p. 15. ↑ Watkins et al. 1995, p. 675. ↑ Watkins et al. 1995, p. 684. ↑ Murdmaa et al. 1995, p. 420. ↑ Schornikov, E. I. (March 2005). "The question of cosmopolitanism in the deep-sea ostracod fauna: the example of the genus Pedicythere". Hydrobiologia. 538 (1–3): 213. doi:10.1007/s10750-004-4963-3. ISSN 0018-8158. Arnaud, H.M.; Flood, P.G. ; Strasser, A. (May 1995). "Resolution Guyot (Hole 866A, Mid-Pacific Mountains): Facies Evolution and Sequence Stratigraphy" (PDF). Proceedings of the Ocean Drilling Program, 143 Scientific Results. Proceedings of the Ocean Drilling Program. 143. Ocean Drilling Program. doi:10.2973/odp.proc.sr.143.230.1995 . Retrieved 2018-09-30. Baker, P.E. ; Castillo, P.R. ; Condliffe, E. (May 1995). "Petrology and Geochemistry of Igneous Rocks from Allison and Resolution Guyots, Sites 865 and 866" (PDF). Proceedings of the Ocean Drilling Program, 143 Scientific Results. Proceedings of the Ocean Drilling Program. 143. Ocean Drilling Program. doi:10.2973/odp.proc.sr.143.216.1995 . Retrieved 2018-09-30. Baudin, F.; Deconinck, J.-F.; Sachsenhofer, R.F. ; Strasser, A.; Arnaud, H. (May 1995). "Organic Geochemistry and Clay Mineralogy of Lower Cretaceous Sediments from Allison and Resolution Guyots (Sites 865 and 866), Mid-Pacific Mountains" (PDF). Proceedings of the Ocean Drilling Program, 143 Scientific Results. Proceedings of the Ocean Drilling Program. 143. Ocean Drilling Program. doi:10.2973/odp.proc.sr.143.220.1995 . Retrieved 2018-09-30. Firth, John (27 April 1993). "Examining Guyots in the Mid-Pacific Mountains". Eos, Transactions American Geophysical Union. 74 (17): 201–206. doi:10.1029/93eo00119. ISSN 0096-3941. Flood, P.G. ; Chivas, A.R. (May 1995). "Origin of Massive Dolomite, Leg 143, Hole 866A, Resolution Guyot, Mid-Pacific Mountains" (PDF). Proceedings of the Ocean Drilling Program, 143 Scientific Results. Proceedings of the Ocean Drilling Program. 143. Ocean Drilling Program. doi:10.2973/odp.proc.sr.143.229.1995 . Retrieved 2018-09-30. Jenkyns, H.C.; Strasser, A. (May 1995). "Lower Cretaceous Oolites from the Mid-Pacific Mountains (Resolution Guyot, Site 866)" (PDF). Proceedings of the Ocean Drilling Program, 143 Scientific Results. Proceedings of the Ocean Drilling Program. 143. Ocean Drilling Program. doi:10.2973/odp.proc.sr.143.211.1995 . Retrieved 2018-09-30. Kurnosov, V.; Zolotarev, B.; Eroshchev-Shak, V.; Artamonov, A.; Kashinzev, Murdmaa (December 1995). "Alteration of Basalts from the West Pacific Guyots, Legs 143 and 144" (PDF). Proceedings of the Ocean Drilling Program, 144 Scientific Results. Proceedings of the Ocean Drilling Program. 144. Ocean Drilling Program. doi:10.2973/odp.proc.sr.144.068.1995 . Retrieved 2018-09-30. McNutt, M. K.; Winterer, E. L.; Sager, W. W.; Natland, J. H.; Ito, G. (July 1990). "The Darwin Rise: A Cretaceous superswell?". Geophysical Research Letters. 17 (8): 1101–1104. doi:10.1029/gl017i008p01101. ISSN 0094-8276. Murdmaa, I.; Nemliher, J.; Bogdanova, O.; Gorshkov, A.; Kallaste, T.; Vasilyeva, V. (December 1995). "Ferromanganese and Phosphatic Hardgrounds on the Western Pacific Guyots Drilled during Legs 143 and 144" (PDF). Proceedings of the Ocean Drilling Program, 144 Scientific Results. Proceedings of the Ocean Drilling Program. 144. Ocean Drilling Program. doi:10.2973/odp.proc.sr.144.070.1995 . Retrieved 2018-09-30. Murdmaa, I.; Kurnosov, V.and Vasilyeva (December 1995). "Clay Mineralogy of the Shallow-Water Deposits on Allison and Resolution Guyots, Sites 865 and 866" (PDF). Proceedings of the Ocean Drilling Program, 144 Scientific Results. Proceedings of the Ocean Drilling Program. 144. Ocean Drilling Program. doi:10.2973/odp.proc.sr.144.069.1995 . Retrieved 2018-09-30. Pringle, Malcolm S.; Sager, William W.; Sliter, William V.; Stein, Seth, eds. (1993). The Mesozoic Pacific: Geology, Tectonics, and Volcanism: A Volume in Memory of Sy Schlanger. Geophysical Monograph Series. 77. doi:10.1029/gm077. ISBN 978-0-87590-036-0. ISSN 0065-8448. Röhl, Ursula; Ogg, James G. (October 1996). "Aptian-Albian sea level history from Guyots in the western Pacific". Paleoceanography. 11 (5): 595–624. doi:10.1029/96pa01928. ISSN 0883-8305. Röhl, U.; Strasser, A. (May 1995). "Diagenetic Alterations and Geochemical Trends in Early Cretaceous Shallow-Water Limestones of Allison and Resolution Guyots (Sites 865 to 868)" (PDF). Proceedings of the Ocean Drilling Program, 143 Scientific Results. Proceedings of the Ocean Drilling Program. 143. Ocean Drilling Program. doi:10.2973/odp.proc.sr.143.224.1995 . Retrieved 2018-09-30. Skelton, Peter W.; Sano, Shin-Ichi; Masse, Jean-Pierre (1 January 2013). "Rudist bivalves and the Pacific in the Late Jurassic and Early Cretaceous". Journal of the Geological Society. 170 (3): 2012–017. doi:10.1144/jgs2012-017. ISSN 0016-7649. Sliter, W.V. (May 1995). "Cretaceous Planktonic Foraminifers from Sites 865, 866, and 869: A Synthesis of Cretaceous Pelagic Sedimentation in the Central Pacific Ocean Basin" (PDF). Proceedings of the Ocean Drilling Program, 143 Scientific Results. Proceedings of the Ocean Drilling Program. 143. Ocean Drilling Program. doi:10.2973/odp.proc.sr.143.202.1995 . Retrieved 2018-09-30. Strasser, A.; Arnaud, H.; Baudin, F.; Rohl, U. (May 1995). "Small-Scale Shallow-Water Carbonate Sequences of Resolution Guyot (Sites 866, 867, and 868)" (PDF). Proceedings of the Ocean Drilling Program, 143 Scientific Results. Proceedings of the Ocean Drilling Program. 143. Ocean Drilling Program. doi:10.2973/odp.proc.sr.143.228.1995 . Retrieved 2018-09-30. Swinburne, N.H.M. ; Masse, J.-P. (May 1995). "Early Cretaceous Rudist Fauna of Allison and Resolution Guyots, Mid-Pacific Mountains" (PDF). Proceedings of the Ocean Drilling Program, 143 Scientific Results. Proceedings of the Ocean Drilling Program. 143. Ocean Drilling Program. doi:10.2973/odp.proc.sr.143.207.1995 . Retrieved 2018-09-30.
van Waasbergen, R.J. (May 1995). "Sediment Facies and Environments of Deposition on Cretaceous Pacific Carbonate Platforms: An Overview of Dredged Rocks from Western Pacific Guyots" (PDF). Proceedings of the Ocean Drilling Program, 143 Scientific Results. Proceedings of the Ocean Drilling Program. 143. Ocean Drilling Program. doi:10.2973/odp.proc.sr.143.242.1995 . Retrieved 2018-09-30. Watkins, D.K. ; Pearson, P.N. ; Erba, E.; Rack, F.R. ; Premoli Silva, I.; Bohrmann, H.W. ; Fenner, J.; Hobbs, P.R.N. (December 1995). "Stratigraphy and Sediment Accumulation Patterns of the Upper Cenozoic Pelagic Carbonate Caps of Guyots in the Northwestern Pacific Ocean" (PDF). Proceedings of the Ocean Drilling Program, 144 Scientific Results. Proceedings of the Ocean Drilling Program. 144. Ocean Drilling Program. doi:10.2973/odp.proc.sr.144.066.1995 . Retrieved 2018-09-30. Wilson, Paul A.; Jenkyns, Hugh C.; Elderfield, Henry; Larson, Roger L. (April 1998). "The paradox of drowned carbonate platforms and the origin of Cretaceous Pacific guyots". Nature. 392 (6679): 889–894. doi:10.1038/31865. ISSN 0028-0836. Winterer, Edward L. (1998). "Cretaceous karst guyots: New evidence for inheritance of atoll morphology from subaerial erosional terrain". Geology. 26 (1): 59. doi:10.1130/0091-7613(1998)026<0059:CKGNEF>2.3.CO;2. ISSN 0091-7613. Winterer, E.L.; Sager, W.W. (May 1995). "Synthesis of Drilling Results from the Mid-Pacific Mountains: Regional Context and Implications" (PDF). Proceedings of the Ocean Drilling Program, 143 Scientific Results. Proceedings of the Ocean Drilling Program. 143. Ocean Drilling Program. doi:10.2973/odp.proc.sr.143.245.1995 . Retrieved 2018-09-30.